Aidan Quigley came to me with a mad idea, he’s famous for them. He’d bought Loftus Hall, the most haunted house in Ireland and wanted to make an interactive experience out of it. After a lot of research I visited the house, heart in my mouth, and surveyed the grounds. It was in disrepair after years of neglect. Over an old doorway at the front of the house Aidan showed me what remained of the original family, a Boars head and Crown, the Tottenham crest. Fitting to the house history the Boar and Crown, with a modern if somewhat sinister twist, became the logo. I developed the brand across the whole experience including illustrations both to depict the dark history of Loftus and to portray a glimpse of what a brave visitor might expect to experience. Loftus Hall now runs great tours of the house I can’t recommend them enough. 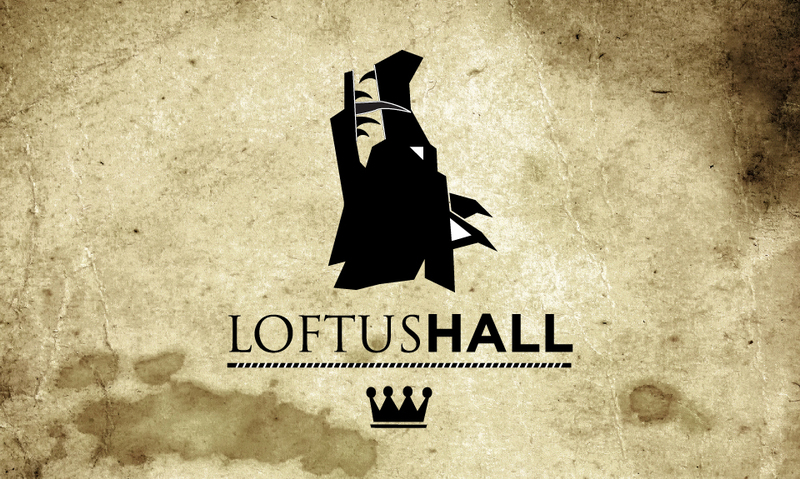 Please visit Loftushall.ie to find out more and support Aidan as he rebuilds a piece of history.